"Gerzeh" redirects here. For the village in Iran, see Gerzeh, Iran. circa 3,500 B.C.E. — circa 3,200 B.C.E. Ancient ivory amulet of a bearded man from the Gerzeh culture held at the Staatliche Sammlung für Ägyptische Kunst. Figurine of a woman from the Gerzeh culture held at the Brooklyn Museum. Gerzeh (also Girza or Jirzah) was a prehistoric Egyptian cemetery located along the west bank of the Nile. The necropolis is named after el-Girzeh, the nearby present day town in Egypt. 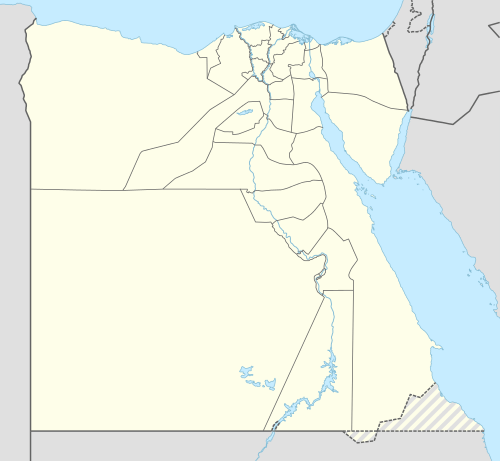 Gerzeh is situated only several miles due east of the lake of the Faiyum. The Gerzean culture is a material culture identified by archaeologists. It is the second of three phases of the prehistoric Nagada cultures and so is also known as Naqada II. Gerzeh culture was preceded by the Amratian culture ("Naqada I") and followed by the Naqada III ("protodynastic" or "Semainian culture"). Though varying dates have historically been assigned by sundry authorities, the Gerzean culture as used as follows distinguishes itself from the Amratian and begins circa 3500 BC lasting through circa 3200 BC. Accordingly, some authorities place the onset of the Gerzeh coincident with the Amratian or Badari cultures, i.e. c.3800 BC to 3650 BC even though some Badarian artifacts may in fact date earlier. Nevertheless, because the Naqada sites were first divided by the British Egyptologist Flinders Petrie in 1894, into Amratian (after the cemetery near el-Amrah) and "Gerzean" (after the cemetery near Gerzeh) sub-periods, the original convention is used in this text. The Gerzeh culture lasted through a period of time when the desertification of the Sahara had nearly reached its present state. The primary distinguishing feature between the earlier Amratian and the Gerzeh is the extra decorative effort exhibited in the pottery of the period. Artwork on Gerzeh ceramics features stylised animals and environment to a greater degree than the earlier Amratian artwork. Further, images of ostriches on the pottery artwork possibly indicate an inclination these early peoples may have felt to explore the Sahara desert. Some symbols on Gerzeh pottery resemble traditional Egyptian hieroglyphs, which were contemporaneous with the proto-cuneiform script of Sumer. Burial sites in Gerzeh have uncovered artifacts, such as cosmetic palettes, a bone harpoon, an ivory pot, stone vessels and several meteoritic iron beads. Technologies at Gerzeh also include fine ripple-flaked knives of exceptional workmanship. The meteoritic iron beads discovered in two Gerzean graves by Egyptologist Wainwright in 1911 are in fact the earliest artifacts of iron known (see also Iron Age). Wikimedia Commons has media related to Naqada II. ↑ Falling Rain Genomics, Inc. "Geographical information on Jirzah, Egypt". Retrieved 2008-03-22. ↑ University College London. "Map of the area between Meydum and Tarkhan". Digital Egypt for Universities. Retrieved 2008-03-22. ↑ University College London. "Finds in Gerzeh tomb 67". Digital Egypt for Universities. Retrieved 2008-03-22. 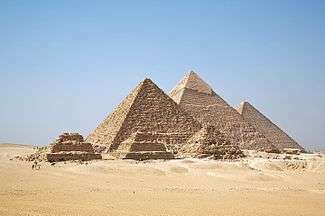 ↑ Great Pyramid of Giza Research Association. "The use of meteorites by the Ancient Egyptians". Retrieved 2008-03-22. ↑ "metalwork: Early history.". Encyclopædia Britannica Online. Retrieved 2008-03-22. ↑ University College London. "Gerzeh, tomb 80". Digital Egypt for Universities. Retrieved 2008-03-22. ↑ University College London. "Gerzeh, tomb 67". Digital Egypt for Universities. Retrieved 2008-03-22. Gerzeh (Girza). University College London, 2000. Egypt, ancient. Encyclopædia Britannica, 2005.